Media recognized the HUAWEI Mate X for its innovative combination of 5G, foldable screen, AI and an all-new unprecedented user experience. The HUAWEI MateBook X Pro also impressed media with its 13.9-inch 3K Ultra FullView display, powerful performance and HUAWEI Share 3.0, solving data transmission difficulties between Windows notebooks and Android smartphones. In addition, the HUAWEI MateBook 14 excited media with its FullView display, high performance, extreme portability and great build quality. GSMA awarded the HUAWEI Mate X “Best New Connected Mobile Device at Mobile World Congress 2019” thanks to its Falcon Wing Mechanical Hinge, leading 5G capabilities, innovative interactions with consumers and HUAWEI SuperCharge. This highly coveted, special award is given by the organizer GSMA for newly released or soon-to-be-listed mobile products, signifying the highest recognition for pioneering the future of mobile technology. The GSMA represents the interests of mobile operators worldwide, uniting more than 750 operators with over 350 companies in the broader mobile ecosystem. TechRadar gave the HUAWEI Mate X the “Best of MWC 2019” award, calling it as a smartphone that has brought “sci-fi imaginations” to life. Its Falcon Wing hinge mechanism was highlighted as a standout aspect of its beautiful design while its impressive performance was also acknowledged. TechRadar is an online publication focused on technology, with news and reviews of tech products, especially gadgets. It attracts 47.3 million unique monthly readers. Tom's Guide chose the HUAWEI Mate X as “Best in Show,” saying its “packed with innovation” including 5G connectivity and a fast-charging dual battery. Tom’s Guide is a website offering unbiased reviews, buyer’s guides, tutorials and more. It has 46.11 million readers. Android Central awarded the HUAWEI Mate X as “Best of MWC 2019” noting its Falcon Wing hinge and “super-thin” form factor. Huawei was also praised for the intuitive and easy-to-use approach to the overall design of the device. Android Central is a leading Android community that attracts 27.2 million monthly visitors. Trusted Reviews awarded the HUAWEI Mate X with “Best of MWC 2019” recognition. It said the HUAWEI Mate X “is without a doubt one of the most interesting things to arrive at MWC 2019” thanks to its super-fast 5G connectivity, all-new Leica camera array and a flexible OLED display. Trusted Reviews offers reviews of the latest consumer electronics, IT and computing products, technology industry news, analysis and product launches. It attracts 23.3 million readers. Android Authority recognized the HUAWEI Mate X as “Best of MWC 2019,” saying it’s an innovative “powerhouse” with impressive fast charging and a beautiful display. Android Authority provides news, tips and reviews on all things Android, and has 20.2 million readers a month. Pocket-lint recognized the “stunning” HUAWEI Mate X as “Best of MWC 2019,” thanks to its “elegant hardware” and stand-out, “intelligent” design. Pocket-lint is the largest independent gadget news and reviews site in the UK and has 17.7 million readers a month. BGR recognized the HUAWEI Mate X with its “Best of MWC” award, commending the smartphone for an almost bezel-less display, which “looks amazing.” The ultra-thin device was called out for particular praise as well as the “incredibly fast” SuperCharge technology. BGR is a technology-influenced website covering topics such as consumer gadgets, entertainment, gaming and science. It has 17.5 million readers. TechnoBuffalo honored the HUAWEI Mate X with its “Best of MWC 2019” award. The innovative camera system that allows users to see themselves on-screen when taking selfies was praised in addition to the “unique” display. TechnoBuffalo is a leading technology publication with a focus on consumer devices and reviews boasting 1.1 million monthly visitors. Mr. 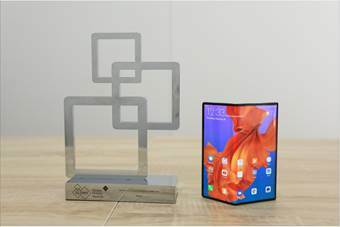 Mobile awarded the HUAWEI Mate X “Best of MWC 2019” for its stunning design and exciting innovation. Mr. Mobile only gives out one award during MWC for the very best product – so this is a highly prestigious award recognizing Huawei and the HUAWEI Mate X above everything showcased at MWC. Mr. Mobile is an influential mobile technology reviewer that has over 747K subscribers on his YouTube channel. Gear Diary recognized the HUAWEI Mate X as “Best of MWC 2019,” noting that its “glorious” FullView display, long-lasting battery and 5G capabilities make it a “spectacular example of a folding phone done right.” Gear Diary is U.S.-based website that provides its users with easy-to-understand information about technology. It reaches 149,840 readers. MyPhone honored the HUAWEI Mate X with the “Most Innovative Product MWC 2019” award. MyPhone is a Greek publication that is a mobile telecommunications portal, with an active forum, reviews of the latest mobile phones and technical documents and articles. IT World Canada included the HUAWEI Mate X in its list of “Best Foldable Smartphones at MWC 2019” calling the device “the current champ in slimness” and “a gorgeous-looking phone.” IT World Canada covers the latest technology news for the region, and receives 216K monthly visitors. 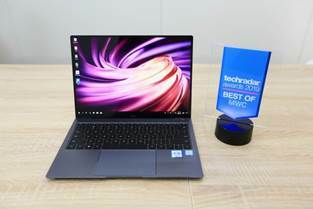 BestProducts.com awarded the HUAWEI MateBook X Pro its “Best of MWC 2019” for its looks, power, and practicality that the publications says will “surprise its competitors.” BestProducts.com features the latest product reviews and roundups for consumers and receives 4 million daily users. SlashGear honored the HUAWEI MateBook X Pro with its “Editor’s Choice” award, stating that, “Huawei is looking to crank up its competitiveness with the new MateBook X Pro 2019,” with the same style, but faster tech. SlashGear covers technology, science, automotive, gaming and entertainment, and has 3.2 million monthly visitors. Big Tech Question (BTQ) awarded the HUAWEI MateBook 14 the “Best of MWC 2019,” for its slim design and powerful performance. Big Tech Question is a forum for all technology, and receives 105K monthly visitors.